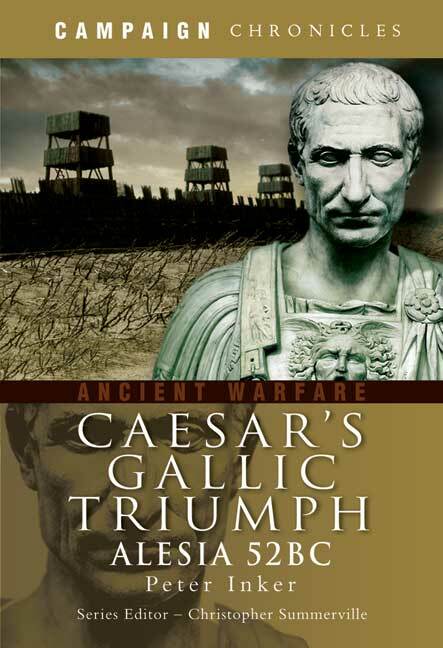 You'll be £19.99 closer to your next £10.00 credit when you purchase Caesar's Gallic Triumph. What's this? In 52BC at Alesia in what is now Burgundy in France Julius Caesar pulled off one of the great feats of Roman arms. His heavily outnumbered army utterly defeated the combined forces of the Gallic tribes led by Vercingetorix and completed the Roman conquest of Gaul. The Alesia campaign, and the epic siege in which it culminated, was one of Caesar 's finest military achievements, and it has fascinated historians ever since. In this, the first full-length study to be published in recent times, Peter Inker reconstructs the battle in graphic detail, combining ancient and modern sources and evidence derived from archaeological research. He questions common assumptions about the campaign, reassesses Caesar's own account of events, and looks again at aspects of the battle that have been debated or misunderstood. His gripping account gives new insight into Caesar the commander and into the Roman army he commanded. Dr Peter Inker is an archaeologist, ancient historian and graphic artist, who has a passion for military history, in particular the military history of the Roman Empire. He was born in Cardiff and has also lived in Germany and the USA. He has a Masters and doctorate, both in archaeology awarded by the University of Wales, Cardiff. He has applied all his archaeological and historical expertise to produce this ground-breaking study of one of the key battles in Caesar's extraordinary career.